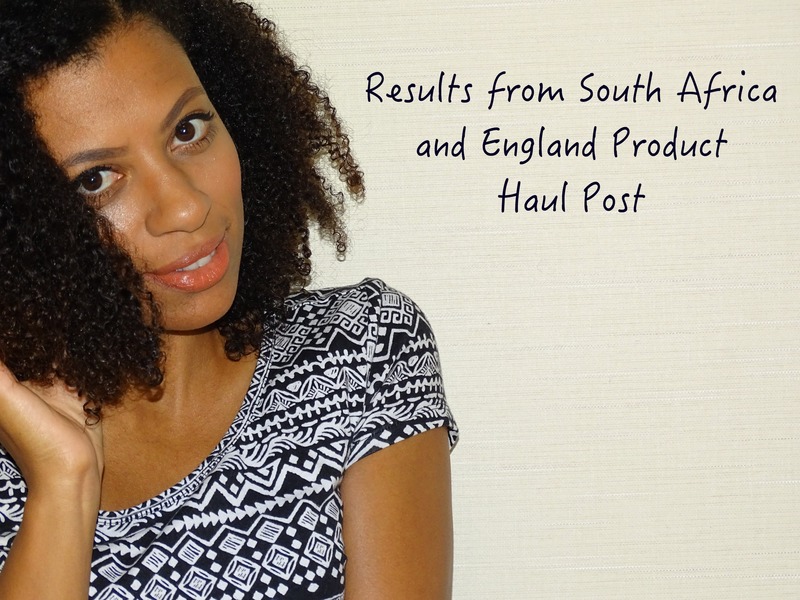 I’m just stopping by quickly to let you know that I’ve tallied up the results from my South Africa and England Product Haul post. Based on votes received the Camille Rose Naturals line and the Shea Moisture Deep Treatment Masque will be awarded reviews. With a tie at two votes each, I plan to review them in alphabetical order, so look out for the Camille Rose post in the next week or so. Shea Moisture will follow soon after that. Thanks so much to everyone who participated by voting as well as a big thank you to every single one of you who just popped onto my site out of interest over the last week. The product haul post garnered so much interest, which has me wondering is it because of the product information or the mini-video? I do appreciate the feedback so be sure to let me know what type of post tickles your fancy most on my blog and what type you’d like to see more of. Have a fabulous Tuesday and as always love your curls!